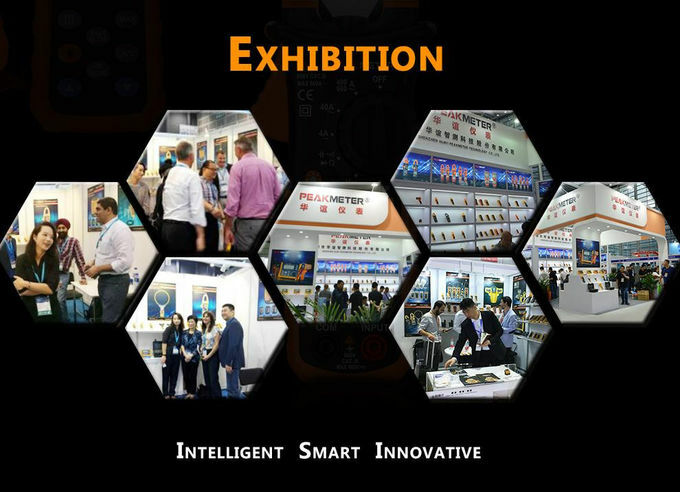 Huayi instrument, Intelligent Team, Smart Products, Innovative Manufacturer. 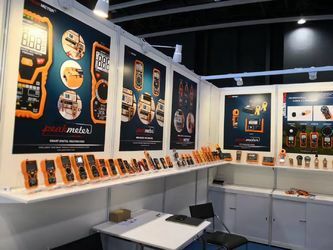 Shenzhen Huayi Peakmeter Technology Co., Ltd. ​is one of the most famous Digital Measuring Instrument Manufacturers in China. 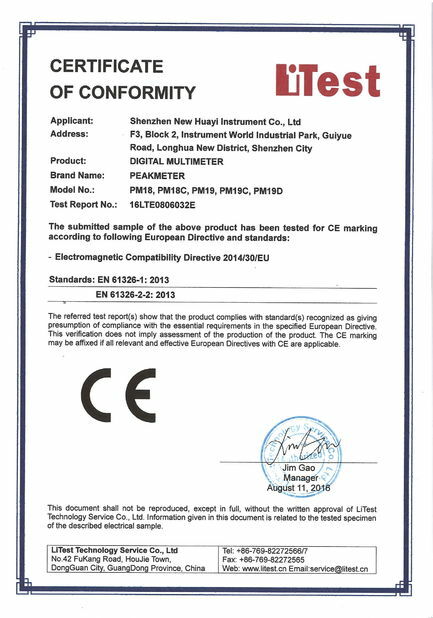 It is a National recognized High-tech Company, authorized by Chinese& Shenzhen Government and also a prestige Brand of measuring Meter industry. Our success and rapid growth is built on Technology, Innovation. Customer satisfication is our culture and eternal pursuit, also is the drive of our sustainable development. 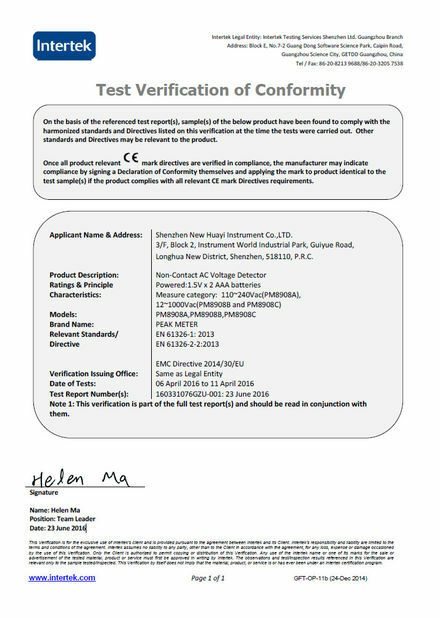 All products are designed to comply with International Electrotechnical Commission Safty Standard (IEC61010) and Requried CE (EMC/LVD), UL, ROHs, REACH,WEEE and other related regulations. 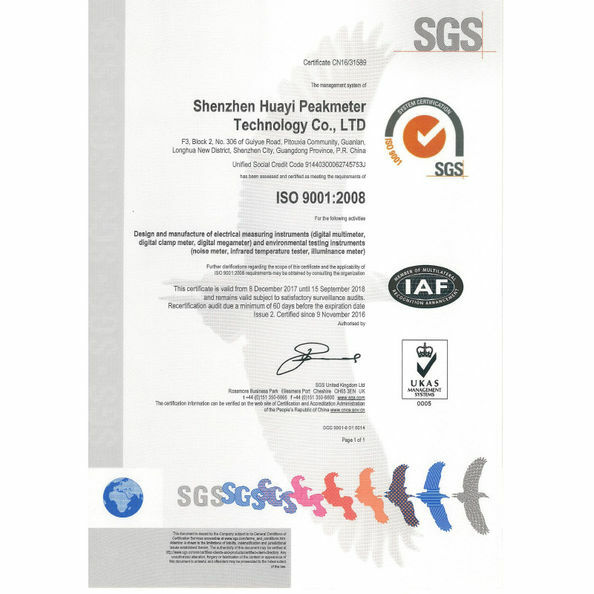 Strict ISO 9001 Quality management and complete after-sales services system to ensure providing constant high quality product to our global customers. 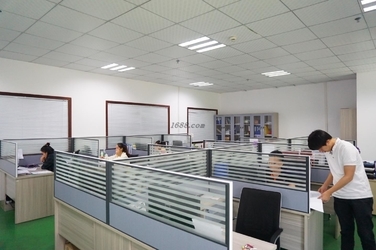 Rooms 2410-2411, 24/F., Sunshine Golf Building, 7008 Shennan Blvd., Shenzhen 518040, China. 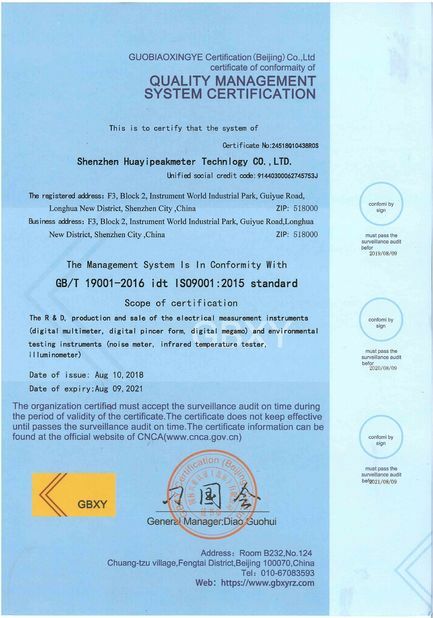 Shenzhen Huayi Instrument Co.,Ltd is a high-tech enterprise in the manufacture, distribution and service of electronic test tool and software led by a team with over 20 years solid management and development experiences. 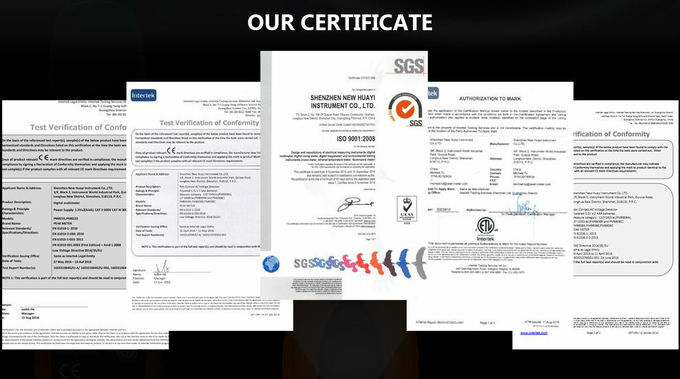 Peakmeter product lines are beneficial for customers in both dosmetic and overseas market with strict quality standards. 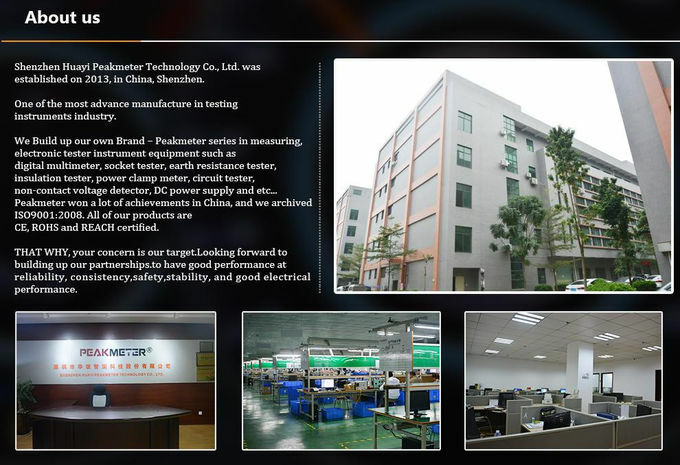 Peakmeter has launched services and sales center in Hong Kong, China，in 2012. Since 2016, Peakmeter has established its own official store on domestic and foreign Internet platforms. The overseas distribution and partnership network are located in Europe, United State America, Brazil, India and Russia. 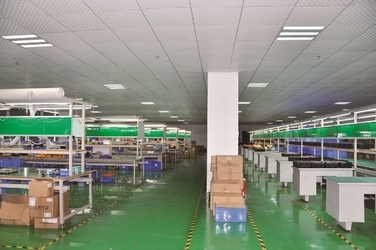 ►All products of our company have 12 months warranty, free charge for maintenance (excluded damage of wrong operation), battery or surface damage are not in this term and user must stand the delivery fee from user place to repair place. ►Material and service fee will be charged when warranty is expired, and delivery fee are necessary if user needs repaired product to be returned. ►To product which is out of warranty but has already repaired, we will provide another three months free service if the same spare part has problem again. But user needs to stand the delivery fee. ►To any incorrect operation caused damage to input ,output channel and protective parts such as fuse, safety resistor and consumptive battery are not include warranty. ►If User are capable to repair, service center may provide related drawing and spare parts understand curtain circumstances. ►Maintenance detail contact information please find in product repair bill. 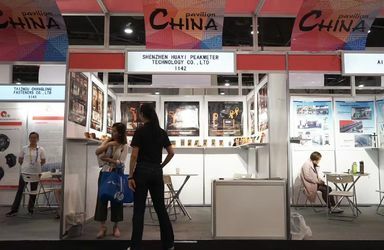 One of the Founders of Shenzhen Huayi (Mastech)Instrument Co.,Ltd, dedicate in Instrument manufacturing and Enterprise management since 1988, has crucial influence in Instrument Manufacturing. Now nominated as the chairman of Shenzhen New Huayi Instrument Co., Ltd., and the vice president of Shenzhen instrumentation and automation industry association.